Our stunning rustic rose hand made wedding favour boxes are right on trend for the country wedding look. 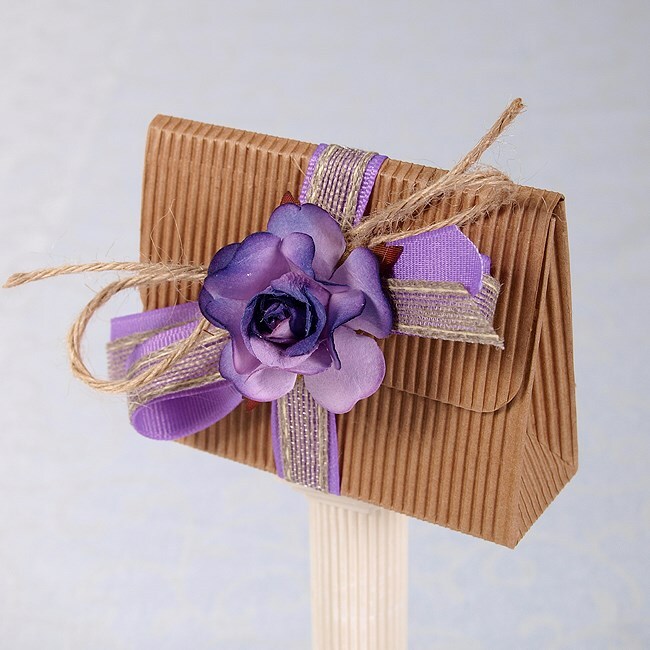 The corrugated kraft boxes are finished with a ruffle paper rose and tied with hessian and satin ribbon and natural hessian string. A real country rustic look. The purse shaped box is available with a choice of rose colours with matching ribbon to co-ordinate with your wedding theme.